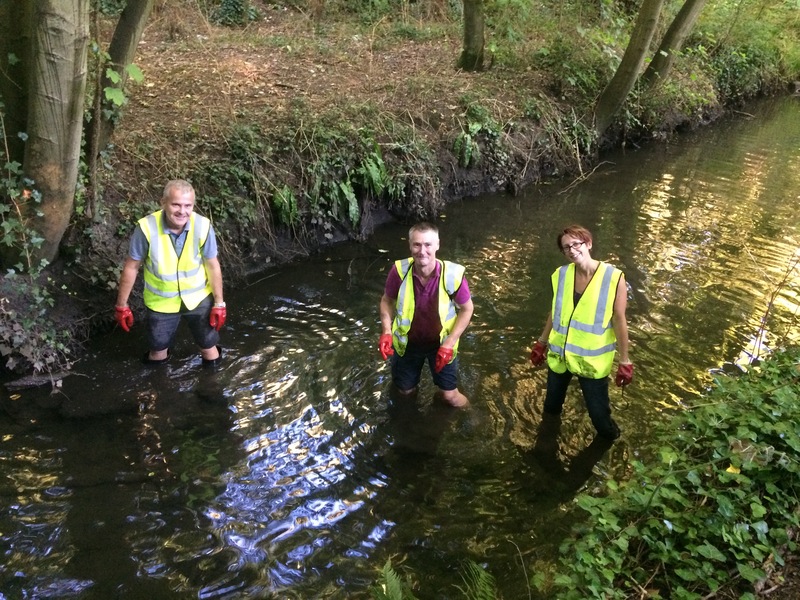 The rain over the weekend of 26th and 27th July proved a huge boost to the project to Clean the Trym. 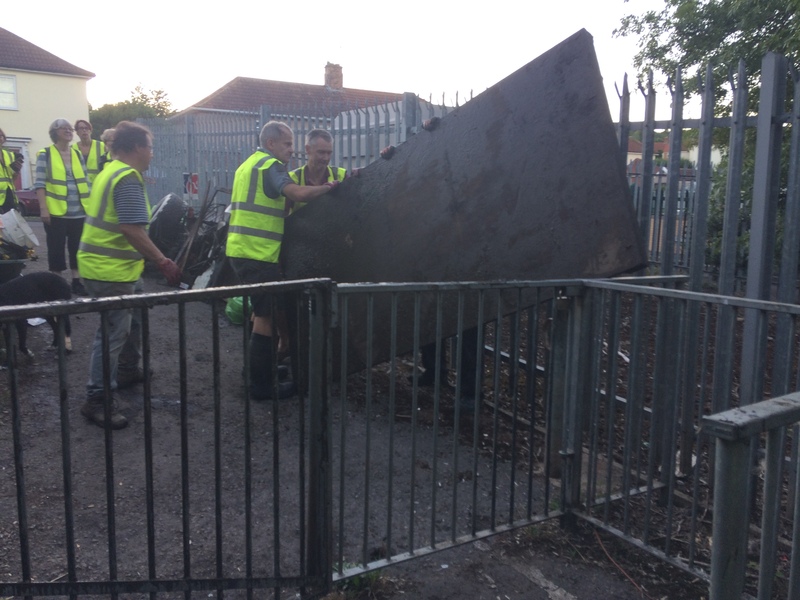 Instead of 10 people spending a couple of hours cleaning the Trym the activity was rescheduled to take place each evening from Monday to Thursday. 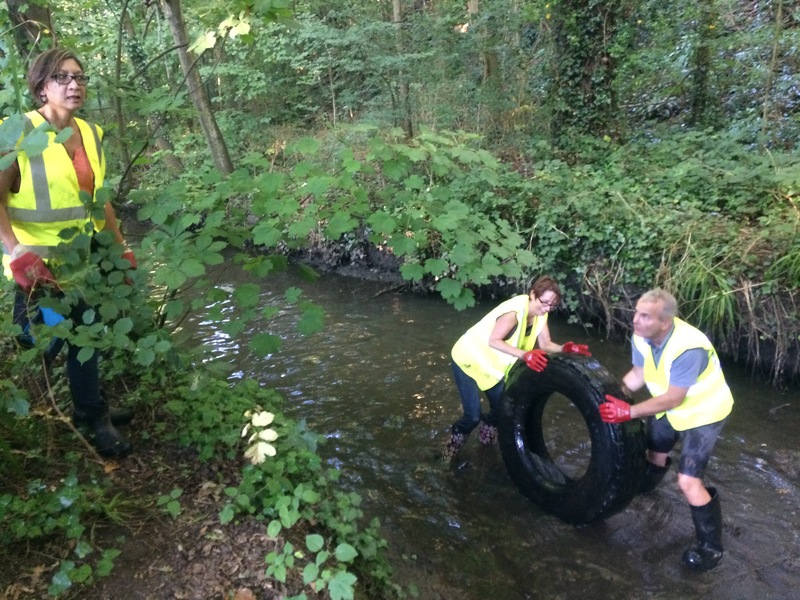 In all 27 people helped clear the river and remove the litter in the surrounding area. 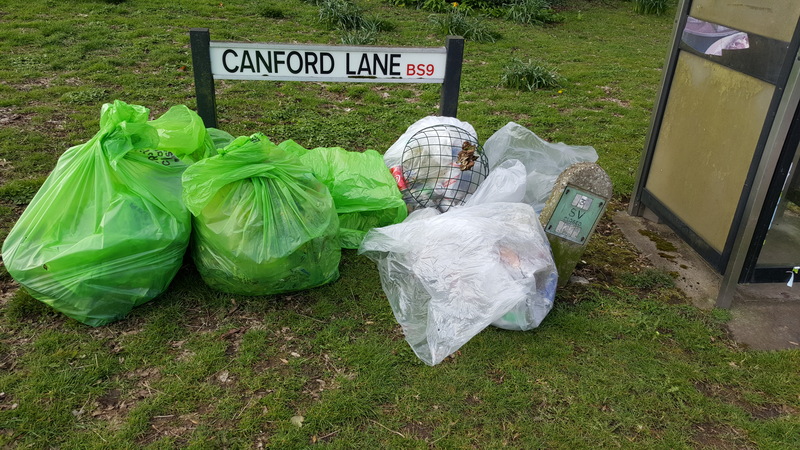 All the rubbish here was collected on Thursday. Several tonnes had been collected on the previous days. Somebody has lost their spare tyreAn incredible amount of rubbish came out on Monday, Tuesday and Wednesday but these pictures show just some of the stuff we got on Thursday. 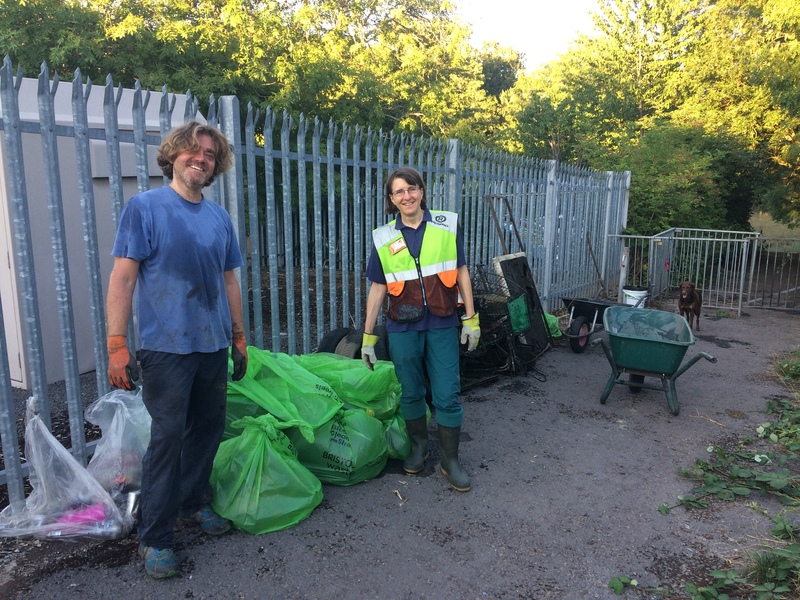 Some of rubbish collected on Thursday Max and Sarah admire their work.